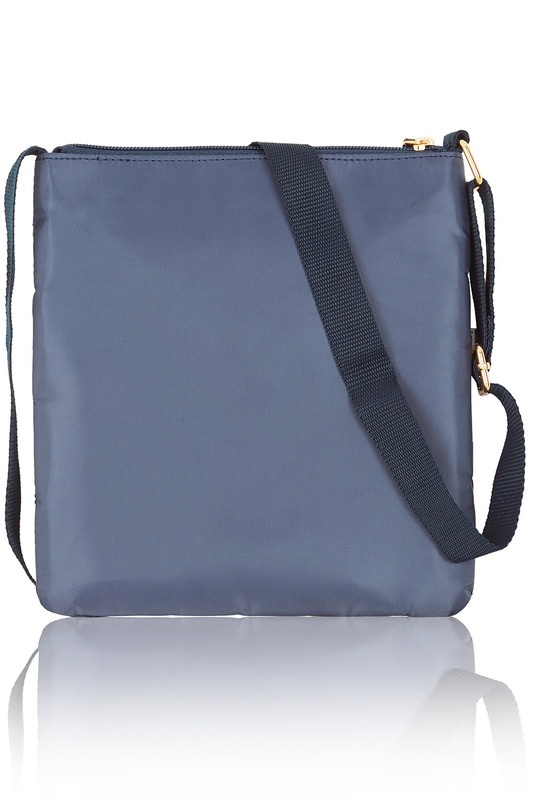 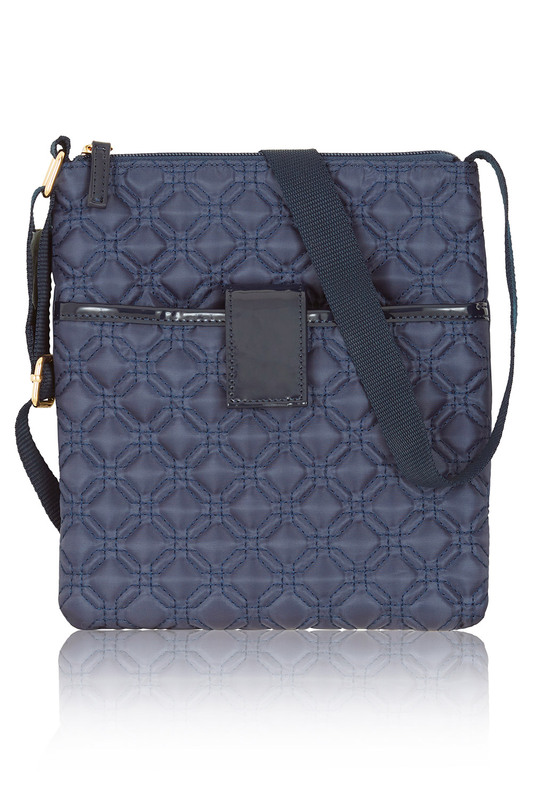 This navy quilted bag is perfect for everyday wear. 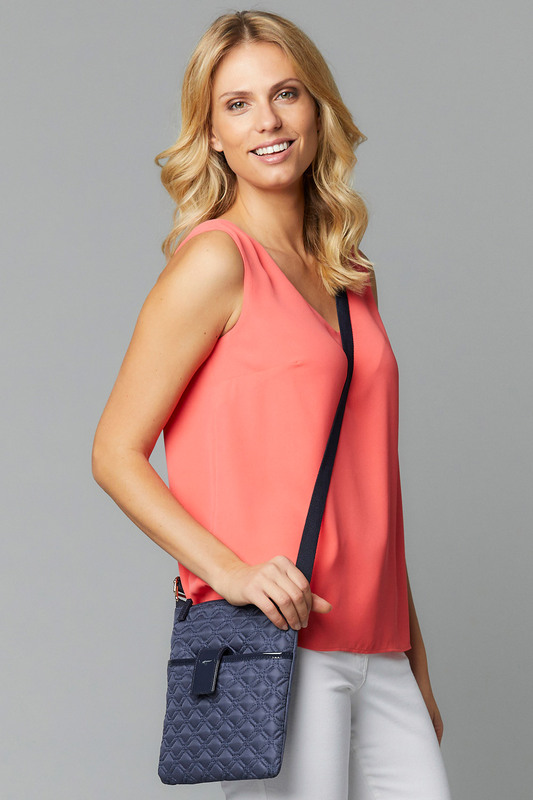 Featuring a patent tab to the front and hexagonal quilt design, this bag complements any outfit. 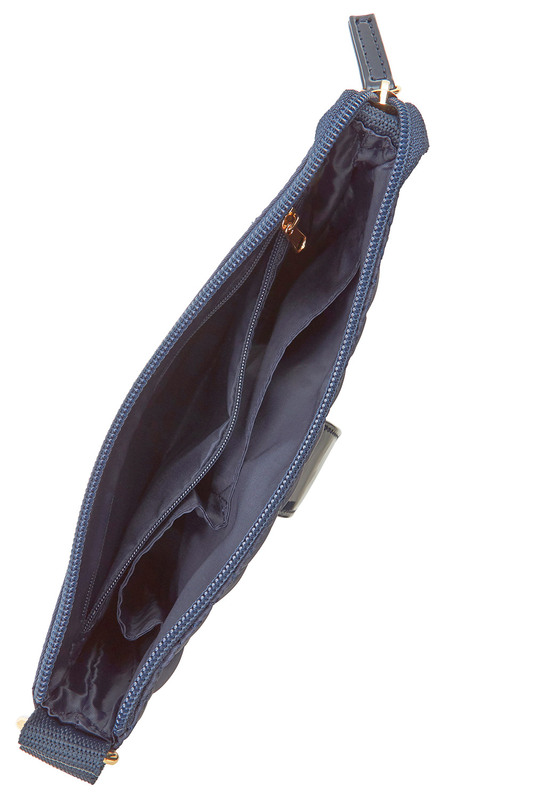 With a zip top fastening and internal pockets.